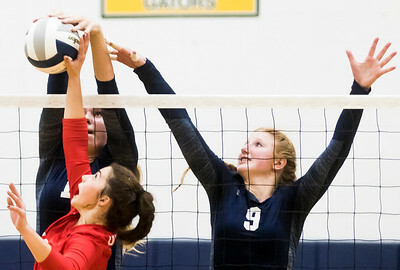 Sarah Nader - snader@shawmedia.com Cary-Grove's Rebecca Elrod (left) and Madison Katchen block a ball hit by Huntley's Taylor Jakubowski during Thursday's volleyball match in Cary Oct. 6, 2016. Cary-Grove won, 14-25, 27-25, 26-24. Sarah Nader - snader@shawmedia.com Huntley's Aleah Amelio (right) jumps to block a ball hit by Cary-Grove's Madison Katchen during Thursday's volleyball match in Cary Oct. 6, 2016. Cary-Grove won, 14-25, 27-25, 26-24. 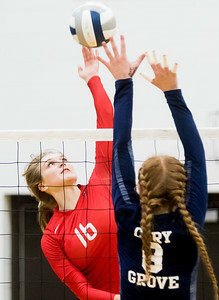 Sarah Nader - snader@shawmedia.com Cary-Grove's Amber Olson jumps to block a ball during Thursday's volleyball match against Huntley in Cary Oct. 6, 2016. Cary-Grove won, 14-25, 27-25, 26-24. 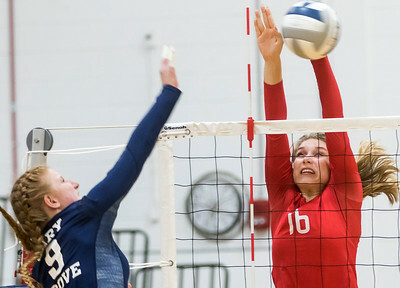 Sarah Nader - snader@shawmedia.com Huntley's Caitlin Thorelius (right) jumps to block a ball hit by Cary-Grove's Evynn Layshock during Thursday's volleyball match in Cary Oct. 6, 2016. Cary-Grove won, 14-25, 27-25, 26-24. 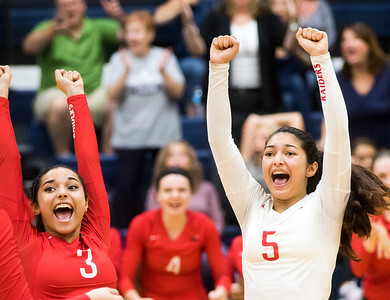 Sarah Nader - snader@shawmedia.com Huntley's Sarah Zayas (right) celebrates a win during Thursday's volleyball match against Cary-Grove in Cary Oct. 6, 2016. Cary-Grove won, 14-25, 27-25, 26-24. 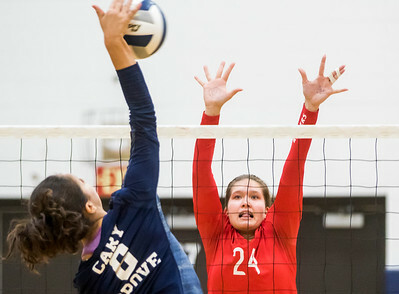 Sarah Nader - snader@shawmedia.com Huntley's Aleah Amelio hits the ball over the net during Thursday's volleyball match against Cary-Grove in Cary Oct. 6, 2016. Cary-Grove won, 14-25, 27-25, 26-24. 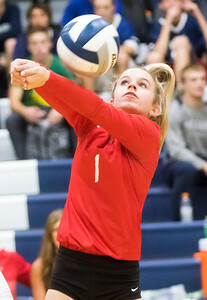 Sarah Nader - snader@shawmedia.com Huntley's Josie Schmitendorf returns the ball during Thursday's volleyball match against Cary-Grove in Cary Oct. 6, 2016. Cary-Grove won, 14-25, 27-25, 26-24. 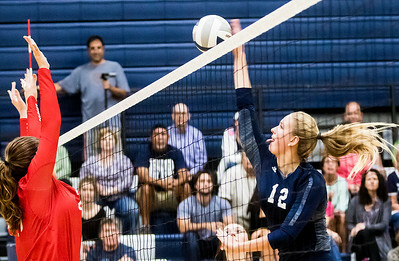 Sarah Nader - snader@shawmedia.com Cary-Grove's Rebecca Elrod (right) hits the ball over the net during Thursday's volleyball match against Huntley in Cary Oct. 6, 2016. Cary-Grove won, 14-25, 27-25, 26-24. Sarah Nader - snader@shawmedia.com Huntley's Alyson Dion dives for the ball during Thursday's volleyball match against Cary-Grove in Cary Oct. 6, 2016. Cary-Grove won, 14-25, 27-25, 26-24. 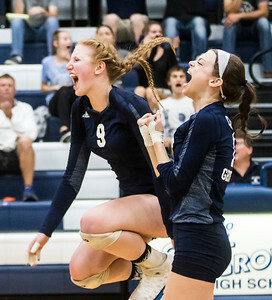 Sarah Nader - snader@shawmedia.com Cary-Grove's Madison Katchen (left) and Peyton Thompson celebrates a win during Thursday's volleyball match against Huntley in Cary Oct. 6, 2016. Cary-Grove won, 14-25, 27-25, 26-24. 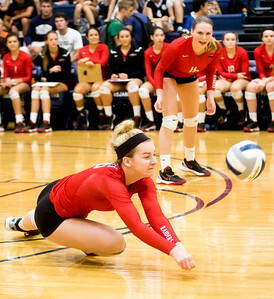 Huntley's Alyson Dion dives for the ball during Thursday's volleyball match against Cary-Grove in Cary Oct. 6, 2016. 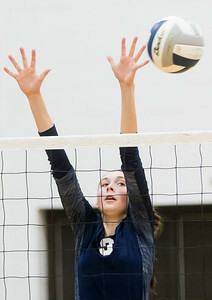 Cary-Grove won, 14-25, 27-25, 26-24.